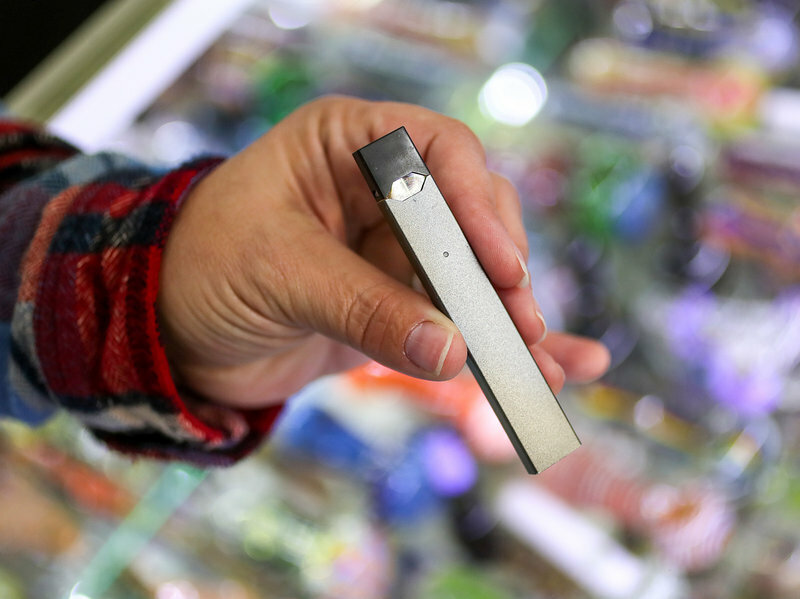 JUUL e-cigarettes are sleek devices and easy to conceal, which makes them popular with teenagers. Last year, York, like many other schools across the nation, saw a significant increase in drug usage due to one new way of consuming drugs: vaping. The rise of the vape pen triggered a significant upturn in disciplinary infractions last year, so how has administration policy attempted to handle the rise of vaping? In the simplest of terms, the school has added the word vape to their written policy code on the usage of drugs. However, the administration will note, there have been no ways in which the policy enforcement has changed. The only tangible difference between this year and last year is the signs that will be going up around the school about the risks of vaping. 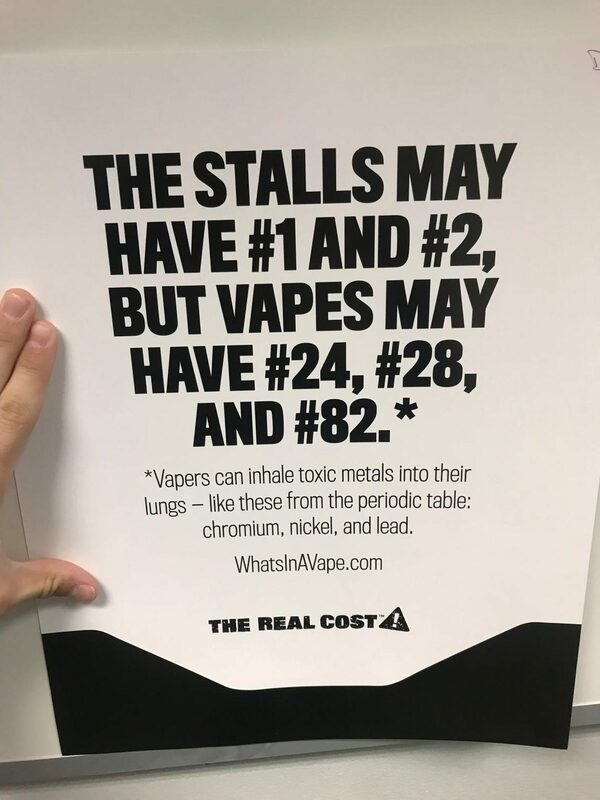 The signs, similar to the anti-smoking and drinking posters, include facts about the chemicals vapes put in the body and the effects those chemicals have on the body. The signs will be put in places such as the bathrooms and the halls to deter students from vaping by providing them with knowledge. 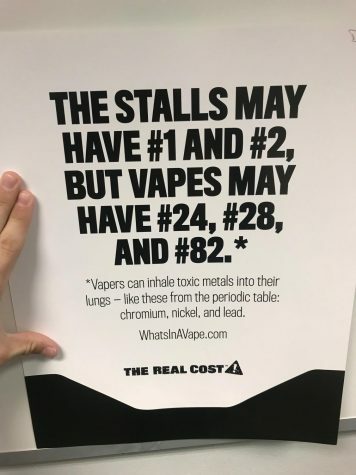 One poster uses the numbers of elements on the periodic table to show the toxic metals that vape allows the user to intake. Although there is no numerical evidence to corroborate these claims, other administration staffers have reported the same trend of an increase in students that are willing to come forward to report instances of vaping. So far this year there have been 13 instances of disciplinary infractions due to vape in comparison with 44 infractions due to tobacco products, which includes vape, from last year in early December. So, for now, the numbers suggest perhaps a little below the number of infractions from last year, but it has yet to be understood if the signs or continued student reports will lower the number of total infractions by the end of the school year. Stay tuned to This is York for future stories on substance abuse at York.